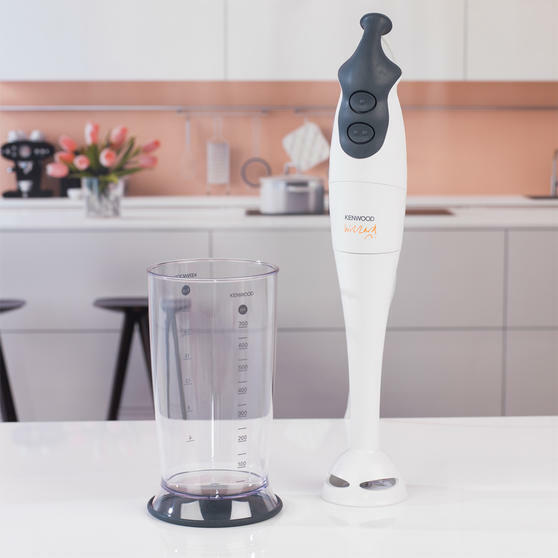 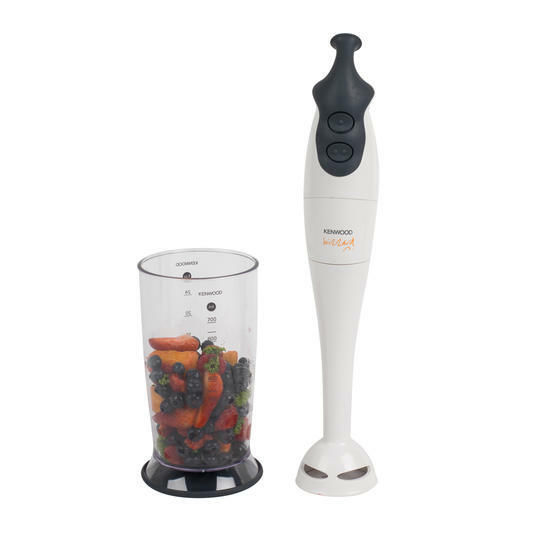 With two speed settings and a handy pulse function for optimum user control, this powerful Kenwood hand blender lets you mix your ingredients to the perfect consistency every time. The simple-to-use unit has an ergonomic SureGrip handle that offers superior comfort during operation, while its convenient non-slip base and grid clip cord storage make it easy to tidy away when not in use. 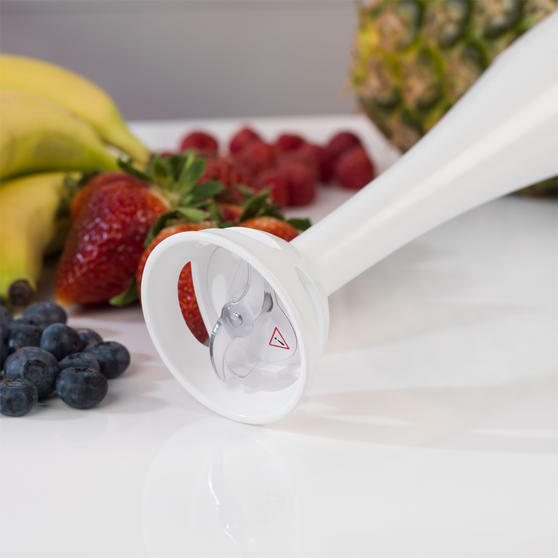 It is also safe to put in the dishwasher, so cleaning up can be as quick and painless as your meal preparation. 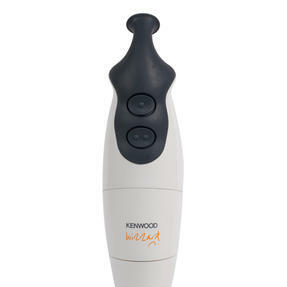 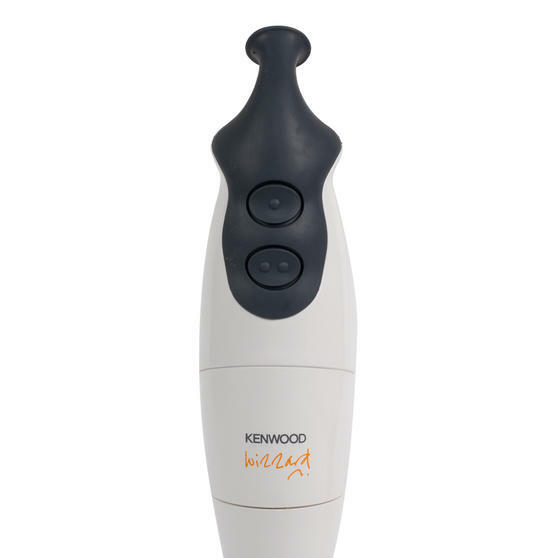 This user-friendly hand blender from Kenwood is ideal for creating deliciously smooth homemade soups, dips and sauces in minutes. 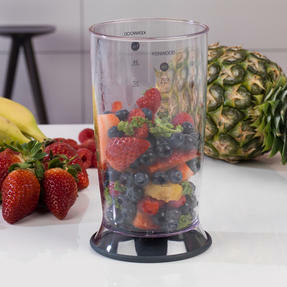 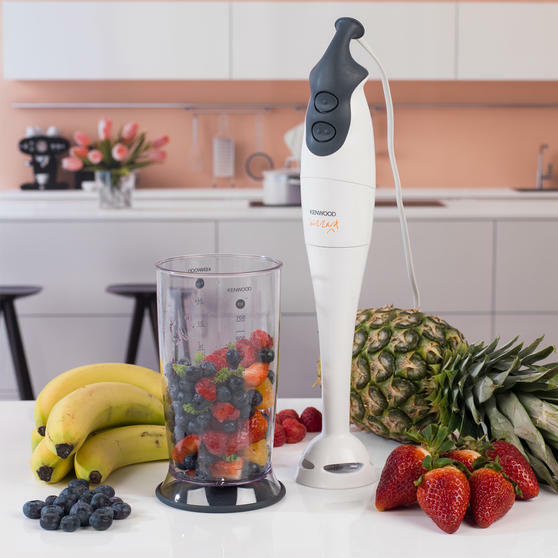 With a robust 400 W motor and two speed settings, the blender has a splash-resistant blending head to minimise mess during operation. 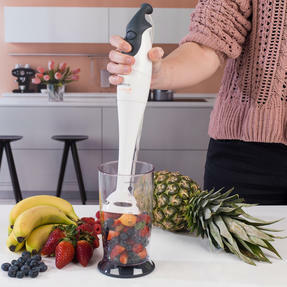 Weighing less than 1 kg for easy manoeuvrability, its hard-wearing stainless steel blades deliver effortless blending performance. The compact unit measures 9.7 cm x 38.5 cm with a rugged durable plastic housing and narrow, innovatively weight-balanced design. 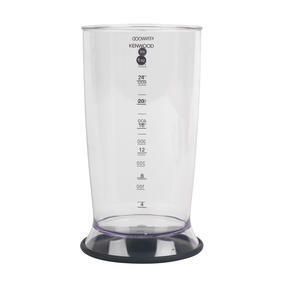 Includes a generous 0.7 L calibrated beaker completed with a lid, so you can easily store your finished ingredients after use.